There are those things or that dish that can be so easy/basic/simple to make that just don’t taste the same unless a specific person makes them. From spaghetti & meatballs to apple pie to chocolate chip cookies. Many times those thoughts comes from people who don’t cook, but it can come for those of us who love the kitchen. My favorite dish to pin this thought to is my friend’s ceviche. It’s like a comfort food to me (that food/dish in general). She’s from Costa Rica and they/she just have/has magical ceviche hands, or something to that effect. All that’s in the dish is white fish, onion, red bell pepper, cilantro, lime juice…and patience. For the juice, she hand squeezes every…single…lime. 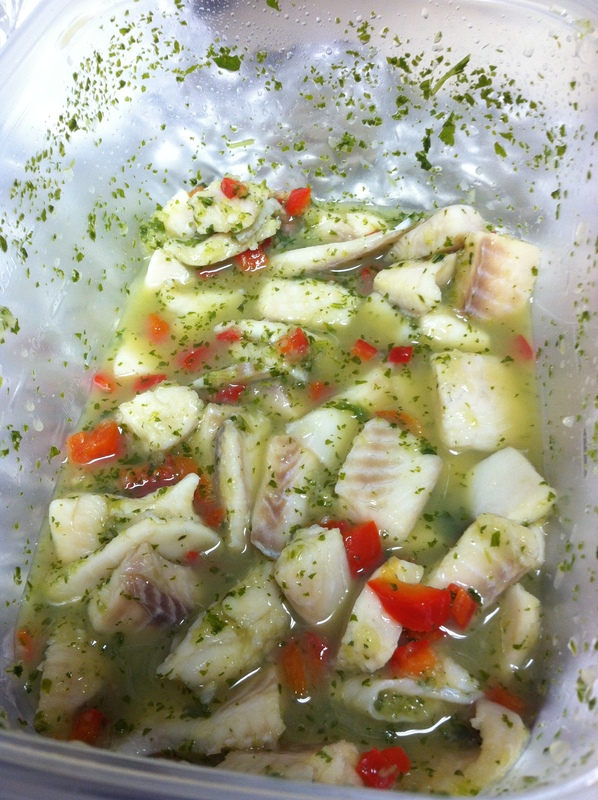 And, her ceviche must sit overnight (some recipes vary). I make ceviche every so often and it never, ever, ever tastes the same, just because it’s not HER ceviche. I’m likely missing the patience part. I have been enjoying this the past few meals and just keep smiling. Muchisimas gracias amiga!